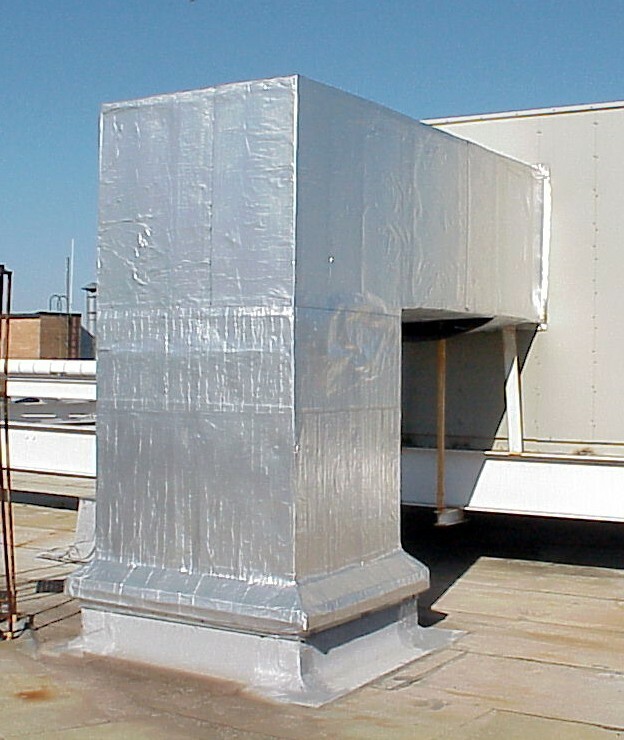 Alumaguard® Lite is designed to be used outdoors to weather-proof exterior insulated ductwork, piping or other insulated tanks, vessels and equipment or indoors on pipe systems and ductwork where a true zero-perm vapor barrier and durable outer jacket is required. Alumaguard Lite can be used for the underside of the duct and does not require pinning. It is the recommended product to be used on the underside of the duct in Alumaguard® applications. Alumaguard Lite is a zero-perm, multi-ply high strength composite membrane consisting of multiple layers of UV resistant foil and tough puncture resistant polymer. This multi-ply lamination is then coated with a proven cold weather acrylic adhesive to which is applied a heavy-duty kraft liner that gives the membrane its peel and stick functionality. 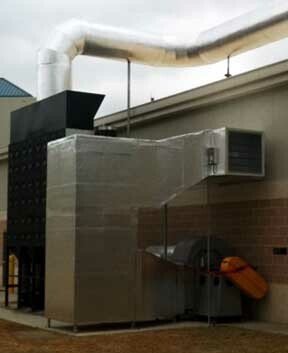 When used indoors, it meets low VOC emissions criteria. It is available in either a smooth silver finish, or an embossed silver surface finish. Alumaguard Lite is a “Peel 'N Stick” product which must be applied to a properly prepared substrate. 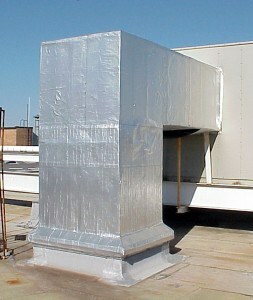 In duct applications, it is the recommended product to be used on the underside of the duct and does not require pinning. Alumaguard® Lite Cool Wrap™ is also available. This technology is a "green" energy saving flexible cladding available in configurations for all of our Alumaguard® family of products. Alumaguard® Lite Cool Wrap™ acrylic adhesive is the perfect vapor and weather barrier, with a matte white, high emissivity/reflectivity coated membrane for exterior use. Qualifies for LEED credits and meets solar reflectance and emissivity requirements of Cool Roof Rating Council (CRRC) and California Title 24. Alumaguard® Lite White - is designed to be used indoors for mechanical rooms, food production areas, on pipe systems and duct-work where a true zero perm vapor barrier is preferred, or other indoor applications where a glossy white appearance is desired. This solution can also be used outdoors to weather-proof exterior insulated duct-work, piping or other insulated tanks, vessels and equipment. May contribute toward LEED credits. Alumaguard® Air Release Valves - to relieve pressure related stress under bottom of ducts, our miniature one-way air release valve van be easily installed in the bottom of the duct to relieve air pressure, and you can install as many as are required.